A new take on an old classic is sure to delight and entertain this Saturday when it makes it world premiere at the Audubon Center at Debs Park in Montecito Heights in Northeast Los Angeles. The Arroyo Arts Collective and the Highland Park based Teatro Arroyo are the presenters of “Alicia In Arroyoland,” a frolicking community-based version of Alice in Wonderland, that is a fun music and dance-driven salute to the diverse people who live in Highland Park and the surrounding communities in Northeast Los Angeles. 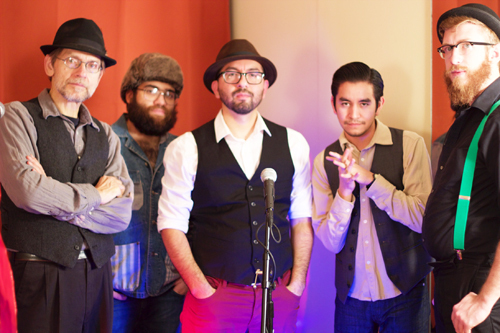 Written by Teatro Arroyo co-founder Ralph Waxman and helmed by award winning director Guillermo Avilés-Rodríguez, Alicia in Arroyoland features a talented cast and crew and live music by the Chicano rock fusion band Ollin. 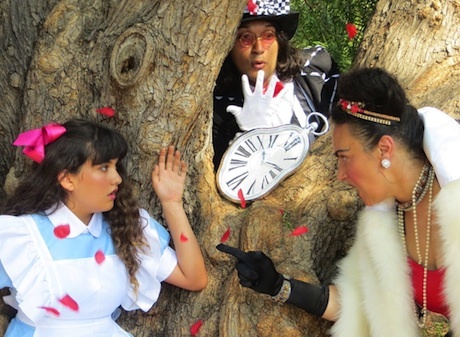 The innovative re-imaging of Wonderland includes historic local figures that once inhabited the local community, including freedom fighter and Tongva medicine woman Toypurina, Renaissance man Charles Lummis and Chicken Boy, a present day icon, according to the show’s producers. The audience travels through Arroyoland and cheers on Alicia Lopez as she encounters Arroyoland’s Queen, White Rabbit, Humpty Trumpty, Mad Hatter and others which leads her discovery of purpose: a desire to fight injustice. The play will be presented for free to the public over the next two weekends, with the first performance taking place Saturday, Aug. 12 at 3pm. Additional free performances will take place on Saturdays and Sundays, Aug. 13, 19 & 20 with shows at 3:30pm & 5:30pm. The Audubon Center At Debs Park is located at 4700 North Griffin Ave, Los Angeles CA. 90031. For free ticket information go to: www.brownpapertickets.com. For more information, visit www.teatroarroyo.com.